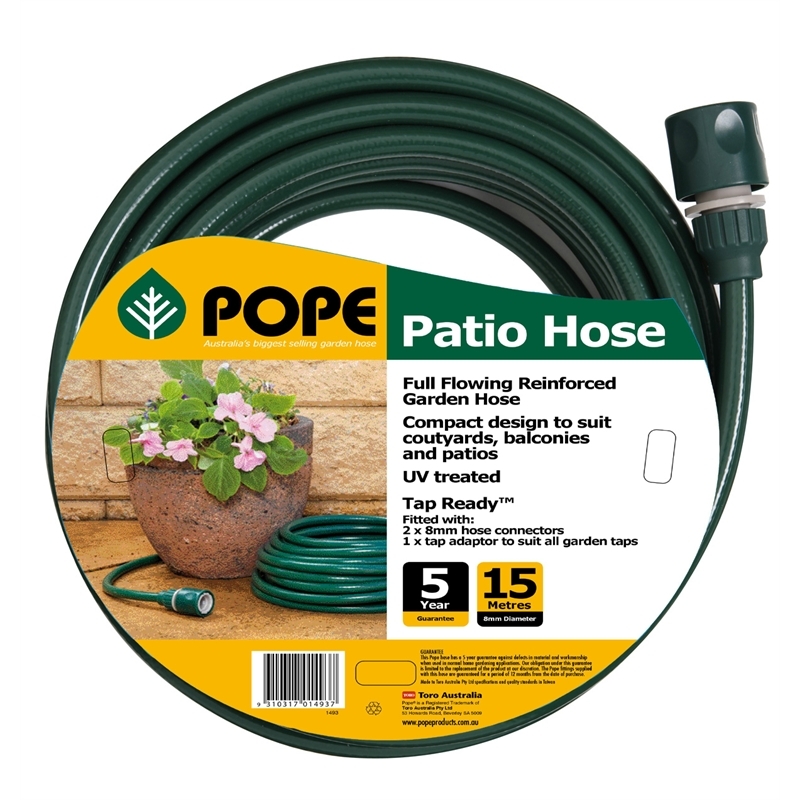 Pope's 8mm x 15m Patio garden hose is a full-flowing reinforced garden hose, with a compact design that makes it perfect for courtyards, balconies and patios. A UV treated finish and its tap-readiness are complemented by a 5-year guarantee. Pope has an extensive range of garden hoses to withstand the harsh Australian conditions. 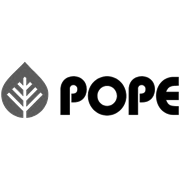 With a range of styles and lengths, Pope provides a solution for every garden hose need.